The 2017-18 La Liga belonged to Barcelona, as the Catalans produced some magnificent performances in the entire season. Barcelona outclassed every opponent they came up against with their attacking style of play. The entire season was a one-sided affair as Ernesto Valverde’s men were the most consistent and dominant force in the 2017-18 La Liga season. Though Barcelona couldn’t make it to the Champions League semi-finals, Ernesto Valverde had stated that winning the La Liga title has boosted his side’s confidence. Their Clasico game against Real Madrid was a nail-biting contest as both the teams stamped their supremacy with some great performances. Ernesto Valverde had recently expressed his disappointment due to their loss against Levante as Barcelona had rested some of their key players for this game including Lionel Messi. Apart from this, there were some sensational performances from some of the best strikers in the Spanish La Liga. We take a look at 5 such strikers who produced some inspiring performances by outlasting their opponents. 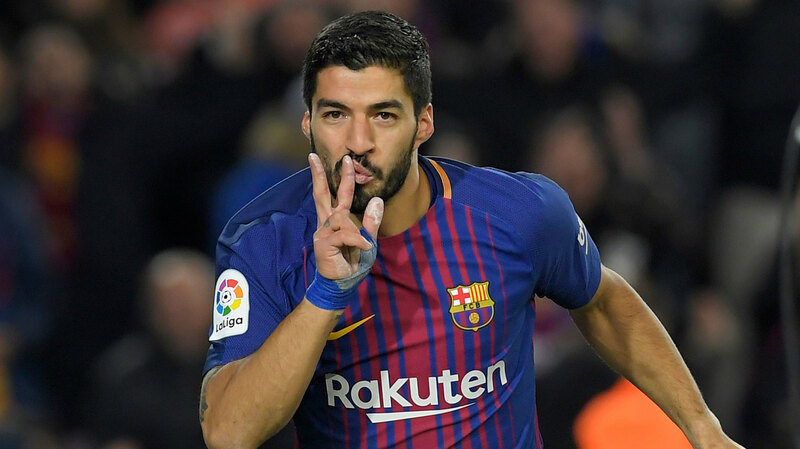 Luis Suarez has been a revelation for the Catalans since his arrival at Camp Nou, as the 30-year-old has been a constant threat inside the box for the opposition’s defense. The Uruguayan has dominated their rivals along with Lionel Messi, as the duo has formed a deadly combo in the forward line. He scored 25 goals in 33 games in the 2017-18 La Liga season with12 assists to his name. His electric runs combined with his counter attacks terrorized the opposition’s defense with his aggressive style of play. Lionel Messi should consider himself lucky as he has an able partner in the form of Suarez in the forward line who he can bank upon for support during critical situations of a game. The Classico was the testament to the ability the Uruguayan possesses that can outdo the best defenses with his speed and creative moves. Suarez produced some quality performances in the 1st leg of the Champions League quarterfinals against Chelsea. His counter-attacks outclassed Chelsea’s defense, while he was quite superb with his clever passes too. Though Luis Suarez had slowed down a bit mid-season because of fitness issues, he managed to recapture his rhythm. His intensity tends to lift the morale of his side. Luis Suarez has been the heart of Barcelona’s forward line.